This car has been known to us for sometime and we can vouch for the fact that no expense has been spared in the maintenance and improvement of this particular example. Invoices from ourselves for a substantial sum accompany the car. Modified sympathetically with Fosseway Performance brakes, Spax adjustable dampers and 17″ wheels this truly is a special car. Every Interceptor has its own individual character but we would go so far as to say that this is exactly how Jensen intended their cars to drive, it’s quite something! Further to this is the car benefits hugely from the addition of a professionally fitted electric sunroof. As it sits flush with the roof when closed you no longer have to tolerate the wind noise (and water ingress) that an ageing manual item will afford. 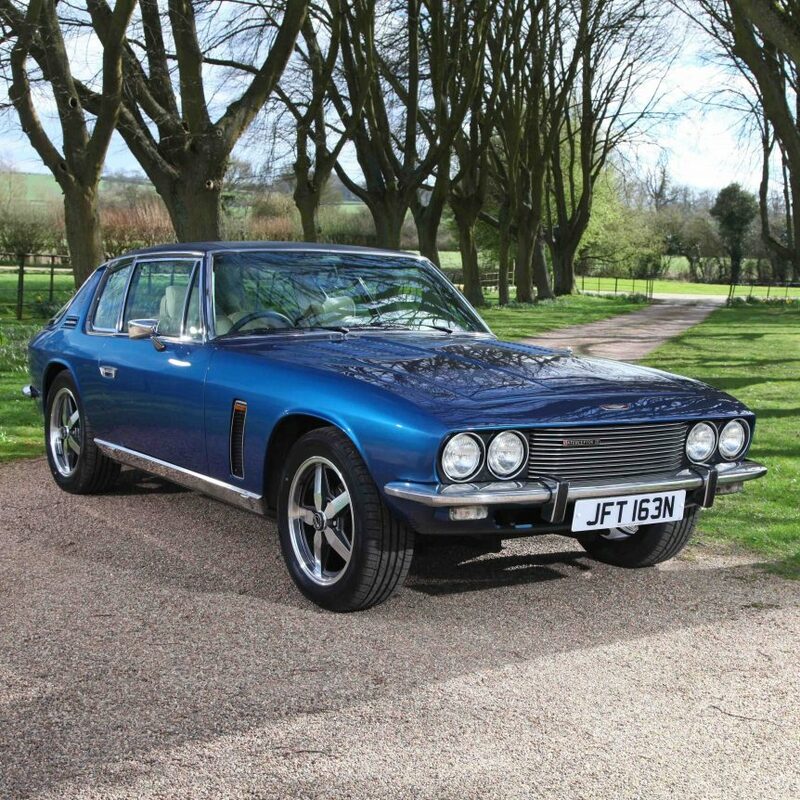 An investment, a show car or just high days and holidays; MKIII Interceptors do not come much better than this.